COCOA BEACH, Florida - The 5th annual Ron Jon Beach 'N Boards Fest will be held at Shepard Park from March 10-12, 2017, in Cocoa Beach, Florida. The event offers a variety of activities including an array of board sports, product demos, a beach volleyball tournament, food trucks and team rider autograph signings. Beach 'N Boards Fest will offer a wide-range of board sports in a competitive or exhibition format including surf, skate, wake, stand up paddleboard and kiteboarding. The event will feature World Surf League rated pro surfing competitions, the Vans Junior Pro and Men’s WQS events, which are the biggest and richest pro surf contests in Florida. The event will also include the O’Neill Cocoa Beach SUP Challenge, Quiksilver Tow-At, Roxy Yoga and a high school women’s beach volleyball tournament presented by Oakley. The environmentally-friendly Beach 'N Boards Fest is a collaboration between Ron Jon Surf Shop and local event promoter Mitch Varnes. The event is targeted to Florida residents as well as families and college students from along the East Coast. 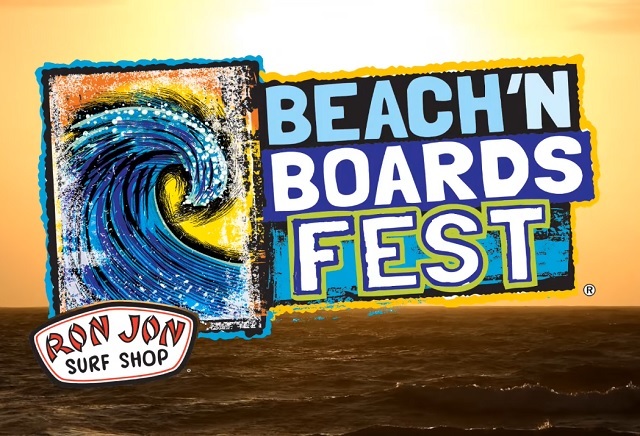 "Ron Jon Surf Shop is pleased to present Beach 'N Boards Fest," said Debbie Harvey, president and COO of Ron Jon Surf Shop. "We're thrilled to bring beach events and activities that appeal to both college students and families visiting Cocoa Beach from around the country." For a complete event listing and more information, visit www.beachnboardsfest.com.